Di5 Adventures is the result of friendships formed in the alpine zones of Mt Affarwat. A concoction of local knowledge and international experience we came together with the purpose of sharing our love for the mountains and, in particular, our unique familiarity with the Kashmiri Himalaya. Over 5 years, we have succeeded in developing our vision for the ultimate Gulmarg experience. Omar is the beating heart of Di5 Adventures, a third generation Gulmarg skier and a former Indian National Ski Team member. 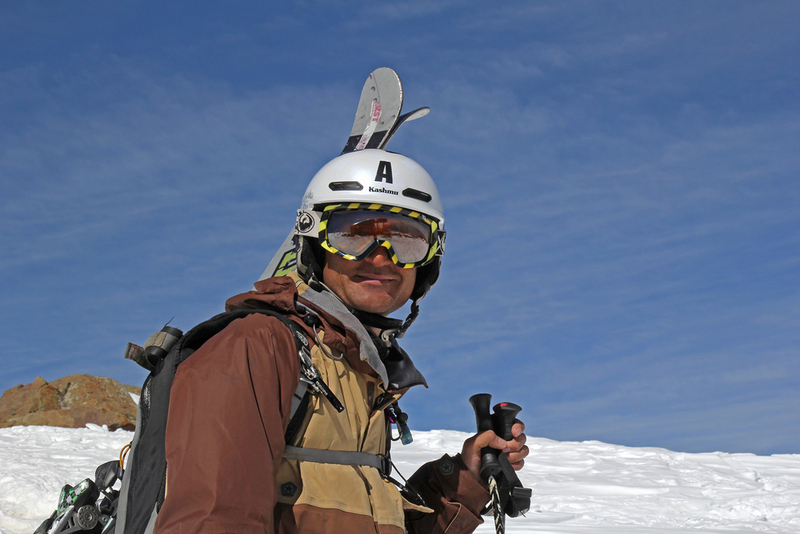 The son of a local skiing legend, he literally grew up on the slopes of Mt Affarwat. After years of racing, Omar turned to Guiding as a way to share his passion for his home with the increasing number of foreigners visiting Gulmarg in Winter. 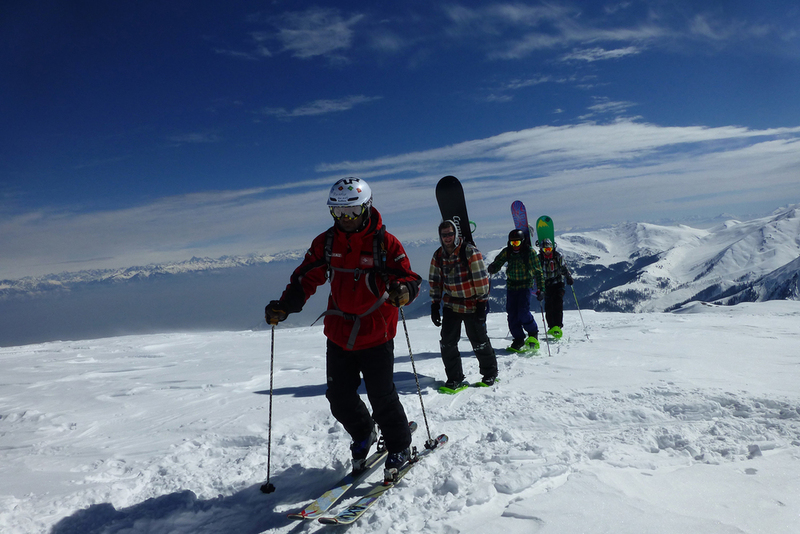 Respected as a local heavy hitter, Omar is one of the most accomplished guides in Gulmarg. As the Director Of Mountain Operations and Head Guide, Omar is responsible for day to day operations during the winter months. He keeps the stoke high on the tough hikes with his infectious positivity and penchant for teaching you Kashmiri whilst you are gasping for thin Himalayan air. There couldn't be Di5 Adventures without Andy. It was his foresight and hard work that brought the crew together and got the company up and running. A veteran of the Australian snowboard scene Andy was hucking himself around the nineties as a sponsored twenty-something. Now a little more refined he pulls big lines and pow slashes with a keen eye for terrain features and a smooth surfy style. He is also a dreamer who, upon arriving in Gulmarg, decided it would be a great place for a Himalayan Banked Slalom; now into the third year! This guy saw the potential to celebrate snowboarding in a unique environment and has made that happen. Sandy is a tall Scotsman who became a good friend way back in our first season in Gulmarg. An intrepid traveller and solid, hard-charging snowboarder. Before Gulmarg, Sandy spent years as a resident of Whistler, Canada. He is our blog wordsmith and chief snow mover for the Himalayan Banked Slalom. Around the village, his reputation is dominated by being the reigning King of the Hill. In 2013, he won the snowboard category of the Gulmarg Global Derby. A no holds barred, Chinese downhill race, from the top station of the gondola to the Pine Palace Hotel. Sandy is the point of contact for clients from Great Britain and Europe.